Looking to connect a New Meter? Whether you are moving to a new location, opening a new business or simply in need of a new meter installation to switch over to half hourly electric, Business Electric can help you understand the process. New meter installations can be quite confusing and the whole process can actually take up to three months. However, we are here to answer any questions you might have and provide a way to leave your business with minimal disruption. If you are going to be occupying space where there is currently an electric supply, the first thing to do is get the unique reference – called the MPAN – which stands for Metering Point Administration Number. If you don’t know what kind of meter is currently there, look at the first two digits. If they are 01 then the meter is not a new half hourly smart meter. Those meters start with a double zero – 00. Now that you’ve determined what type of meter is there, if you need to have a new meter installed, reference the MPAN when calling your supplier. For more information on half hourly electric and whether or not this is the best option for you, see our page on half hourly electric. Bear in mind that switching accounts to a new business on the premises is a whole lot quicker than having a new meter installed. However, the benefits of a new meter may be well worth the wait. One of the things you will want to look for when having new service connected is the KVA. This stands for Kilo Volt Amperes and it refers to the most electricity from the grid that can be drawn at any one time. If the KVA is set too high, you could be drawing more power than you need and this will obviously have an impact on what you are paying as with many tariffs, your pay is dependent on your usage. If the premises already has a meter, make sure you talk to your supplier to have your KVA set for the maximum amount you expect to draw at any given moment. This is one of the most common questions that business have when considering installing a new meter, and the simplest answer is that if there is currently a meter that doesn’t need to be switched out, the account can be changed over quite quickly. 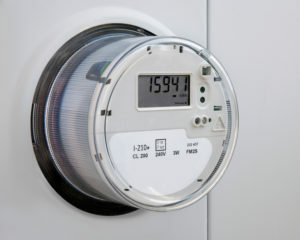 If the meter simply needs to be switched, for example to a half-hourly smart meter, then new meter installations can take two, three and sometimes even four weeks. Unfortunately, if there was never a meter in place, then the new installation can take several months as new cabling will also need to be installed. In this case, make plans well ahead of when you plan to begin operations at your new business location to ensure minimal disruption. At Business Electric, we know that every day you are not operational equates to a loss of revenue. We want to help you keep things up and running. Let us help you find the supplier that will provide the best rates and the quickest service by using our free and impartial business energy comparison tool.